2017 Ford Escape Titanium for sale in Vernon, Okanagan, BC. Sleek styling and convenient amenities make the 2017 Ford Escape Titanium a first-class choice for your family. This four-door SUV promises a comfortable ride for up to five individuals with the latest in technology and modern features. The top-of-the-line Titanium trim ensures you never have to compromise on what you want. Updated design is found on the 2017 Ford Escape Titanium with a new grille as well as new headlights and taillights. You can also choose from new wheel designs for a custom look on your SUV. The sleek design of the exterior is seen with the body-coloured rear spoiler and door handles while the practical side is found in features like the heated mirrors with turn signal indicators and blind spot monitoring. While the silver upper grille is standard, you can switch it out for a gloss black version for added allure. Dual chrome exhaust and a rear spoiler enhance the sporty look while roof rails expand the versatility of this model. 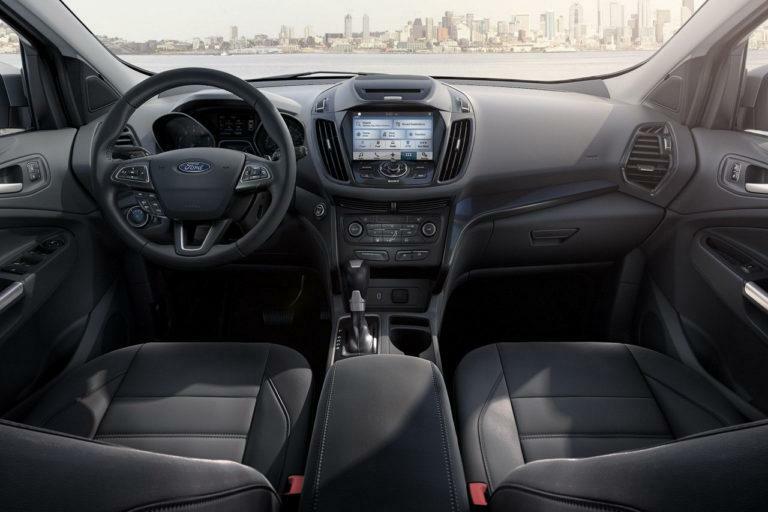 Sit back on the leather-trimmed heated front seats as you adjust the 10-way power driver seat for optimal positioning in the 2017 Ford Escape Titanium. Thanks to the memory feature, you don’t have to readjust every time you want to go somewhere. Refined elegance is seen in the leather-wrapped heated steering wheel and leather shift knob while the available power panoramic Vista Roof and ambient lighting enhance the atmosphere of your travels. Set the tone of your journey with the right road music from numerous channels thanks to SiriusXM satellite radio. Every sound comes through clearly in your ﻿﻿2017 Ford Escape Titanium﻿﻿ with the Sony audio system, which includes 10 speakers. Easily adjust your settings or manage your audio with SYNC Connect and the voice-activated navigation system to help you find your way. Have your ﻿﻿﻿2017 Ford Escape Titanium﻿﻿﻿ ready to go when you are with remote start. You can keep the kids entertained while you travel with a DVD system that can be added. All of your genuine Ford accessories are designed to work with the Titanium for an accurate fit. Other accessories protect your SUV, like the splash guards and special covers. Enhance the capability of this model with racks, cargo organizers and carriers so you can carry more stuff. Never sacrifice performance for efficiency with the ﻿﻿﻿2017 Ford Escape Titanium﻿﻿﻿, which provides a 2.0L EcoBoost engine that delivers it all. Paired with the six-speed SelectShift automatic transmission, you can enjoy precise handling. 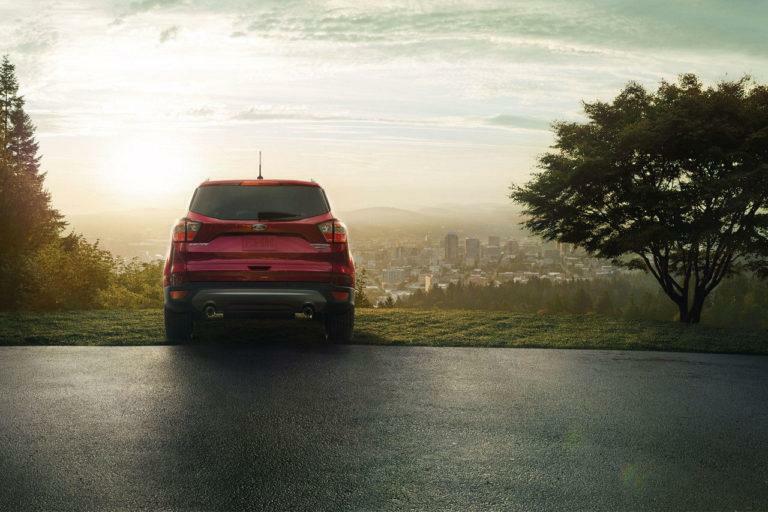 An intelligent four-wheel drive system keeps you going even when the terrain gets rough. The 2017 Ford Escape Titanium is making a name for itself. 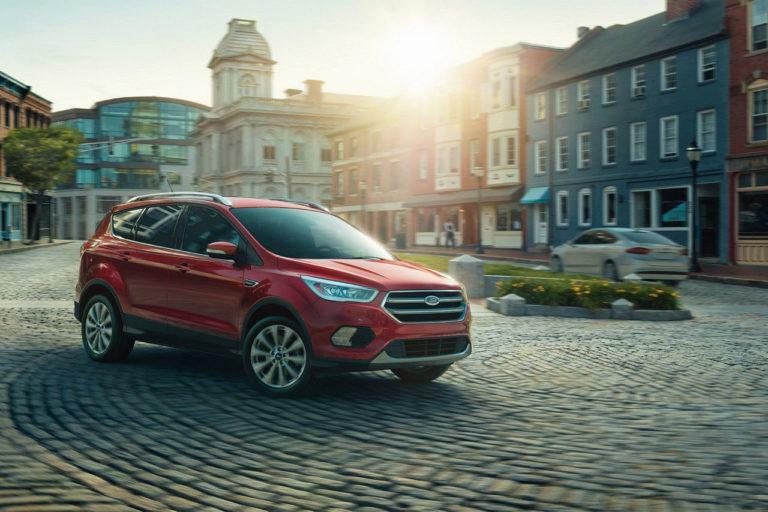 Feel secure wherever you go, knowing you have an extensive list of safety equipment to help you arrive safely in the 2017 Ford Escape Titanium. Feel secure behind the wheel of the 2017 Ford Escape Titanium, knowing it comes with a sound Ford warranty. Impressive design and features make the 2017 Ford Escape Titanium an exceptional choice for anyone looking to buy an SUV. This model has captured the attention of the industry while providing the features buyers want. Incredible efficiency and safety merge with versatility and premium comfort for an all-around vehicle that offers more. Stop by your local Vernon Ford Dealer – Watkin Motors Ford to check out the 2017 Ford Escape Titanium. While you’re here, see what other models we have to offer. Whether you’re looking for a durable Ford pickup, versatile SUV, sporty coupe or reliable sedan, Watkin Motors Ford has it waiting here for you.